When he ran for leader in 2015, Jeremy Corbyn promised to shift power in the Labour Party to its members. It was a pledge that helped secure his victory. For two years, members have been waiting for the promise to be delivered. Finally, it seems within reach – but the endeavour now hangs on the result of an internal election to the party’s National Executive Committee (NEC). The NEC is Labour’s governing body. It interprets the party’s rules, can effectively change those rules, and oversees how Labour is run. Its importance was laid bare during the ‘coup’ in summer 2016, when MPs attempted to deselect the leader. The question of whether Corbyn would have the chance to defend himself in a leadership contest came down to a vote at the NEC. He survived it, but only just. Now three new seats are up for grabs on the committee. They will decide the balance of power between those who supported Corbyn when it mattered, and those who tried to oust him. As leader, Corbyn set three objectives for the party: to give it a left policy platform; to democratise it; and to make it into a social movement-style campaigning force. By June’s general election he had only made progress on the first. 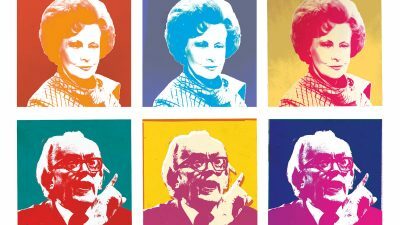 Efforts to advance the others were met with constant bureaucratic defiance from a Labour establishment that maintained a powerful presence in every area of the party – including on the NEC. 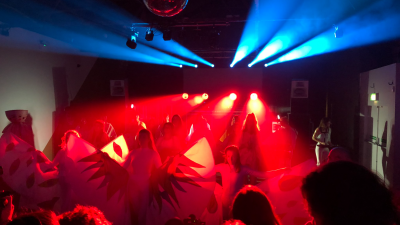 Despite winning the crunch vote during the coup, the leader’s supporters were actually in a minority on the governing body, and there was no easy way to change that since only six of the 35-person committee was elected by the membership. When the left seemed to make a breakthrough by winning all six of those places in a one-member-one-vote ballot in 2016, two more unelected seats were suddenly added at the behest of the Scottish and Welsh party leaderships, tipping the balance back to the right. Without a majority on the NEC, Corbyn was unable to deliver his promise to give the membership more of a say. The consequence was months of internal party deadlock, public division, and sinking poll ratings. Neither side was powerful enough to get its way, but each had the strength to thwart the ambitions of the other. That has changed since June. 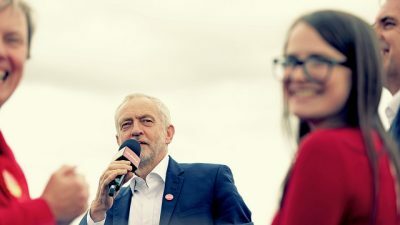 The general election campaign destroyed the three justifications used by Corbyn’s opponents for their intransigence – that he was unelectable, incompetent, and not a leader. The victory of Richard Leonard north of the border means that, ironically, the Scottish leader’s seat on the NEC now gives Corbyn a narrow majority. But to bring about the kind of sweeping democratisation that Corbyn was elected to deliver, the leadership requires more than a narrow majority. Figures in the Corbyn camp believe they need all three of the new seats to go to people who are on board with the party reform agenda. The NEC election is a straight battle between the CLGA (Centre Left Grassroots Alliance) candidates – Yasmin Dar, Rachel Garnham and Jon Lansman – and the trio backed by the Progress and Labour First factions of the right – Eddie Izzard, Johanna Baxter and Gurinder Singh Josan. The left slate is favourite to win. Dar, Garnham and Lansman have received nominations from 206, 188 and 182 Constituency Labour Parties respectively. Izzard, Baxter and Josan have secured just 71, 67 and 55. But these count for nothing in the final tally, which comes down to a one-member-one-vote ballot that could reveal a different picture. Three other independent candidates are standing, including some Corbyn supporters. This has worried the pro-Corbyn camp. 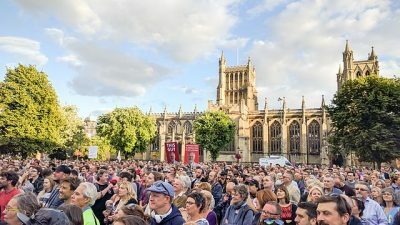 There are fears that some on the left will refuse to vote for Lansman, the founder of Momentum, mainly because of the controversial way the organisation’s constitution was adopted at the turn of the year (his backers respond that Momentum remains a highly effective organisation, as demonstrated in the general election). The presence of solo candidates on the ballot provides the opportunity to vote against Lansman without having to back a Progress/Labour First contender. It is difficult to see the political logic of Corbyn supporters not voting for Lansman. As none of the solo candidates has any hope of securing enough votes to win, the only possible impact of snubbing Lansman is to hand a seat on the NEC to the right – putting the whole party democracy agenda in jeopardy and reducing future opportunities for those same Corbyn supporters to have their say. Having taken in its stride two leadership campaigns, a coup, a media bombardment, and a snap election, it would be curious for the Corbyn movement to choose such a low fence at which to fall. Eddie Izzard would be the most likely beneficiary if the right gains a seat. It is an old trick of the Labour right to stand celebrities in internal elections, hoping their fame will eclipse their politics. This stretches back to 1998, when the newly-formed CLGA pulled off a shock win over the Blairite machine in that year’s NEC election, but former EastEnders star Michael Cashman nevertheless squeezed on to the committee from the Labour First slate. He was followed a couple of years later by Tony Robinson of Blackadder and Time Team fame. Both have been fierce critics of Corbyn in recent years. The script has become wearily familiar: big names stand on a platform of ‘members’ participation’ – but, once elected, back the right. 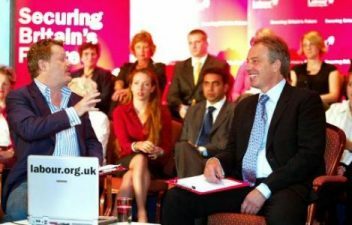 Progress and Labour First no doubt hope newer members will fall for the same ruse with Izzard, who has previously described himself as ‘more Blairite than Brownite’. Lansman, in contrast, has spent years contemplating the reforms needed to open up the party. He can point to his decades of work in the Campaign for Labour Party Democracy as evidence of his commitment to that cause. 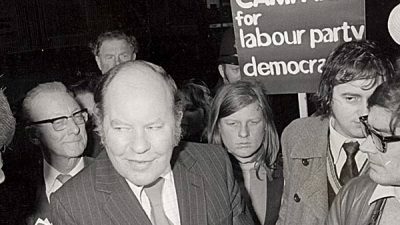 He ran Tony Benn’s deputy leadership campaign in 1981 and was integral to ensuring Corbyn stood for leader in 2015 (including organising support from a hospital bed while preparing to donate a kidney). Even some of Lansman’s fiercest critics concede that his knowledge of the party’s rules and structures makes him ideally suited for the NEC – a venue where the left has too often been outfoxed by Tom Watson and his allies on the right. The old Labour establishment is packed full of formidable bureaucratic operators who can make mincemeat of anyone without experience. If the left wants to stop getting done over, it needs more representatives on the NEC with Lansman’s strategic outlook. Prominent figures on the right make incessant whining noises about party reform being indulgent factionalism – despite being overt factionalists themselves. But the ultimate purpose of democratising the party is to make it a more effective organisation, including electorally. The 2017 general election vindicated the membership’s judgement when it came to choosing a leader. Were it not for the preceding 19 months of bureaucratic obstruction and sabotage, that leader might now be in Number 10. The current NEC election could be members’ best chance to clear the path to power.